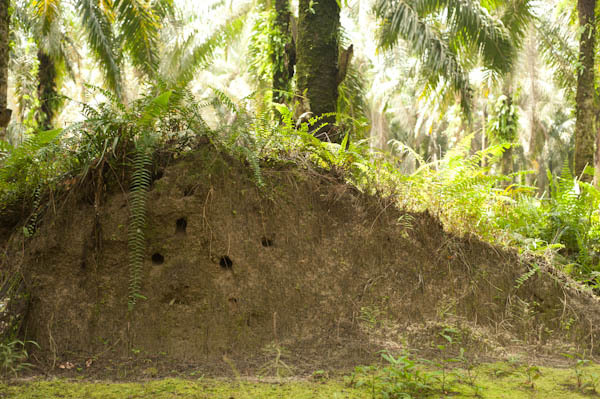 One of the most striking features in the BEFTA plots is the number of huge termite nests, which are found throughout the plantation. These are often several metres across and over a metre high, plonked down at regular intervals like enormous, squat mole hills in the otherwise flat agricultural land. One of the first pieces of survey work we carried out this month, while setting up the plots, was to record the number, size and distribution of these nests. We found that each hectare of plantation contains about 30 of these termite mini-mountains, altogether containing roughly 550 cubic metres of soil! It’s amazing to think of these tiny insects, each only a couple of millimetres long, shifting such vast mounds of mud. Previous research by Jake Snaddon (Foster et al. 2011) has shown that termites are functionally important in plantations, considerably enhancing the decomposition of leaf litter. Their abundance at BEFTA indicates that they are similarly important here. 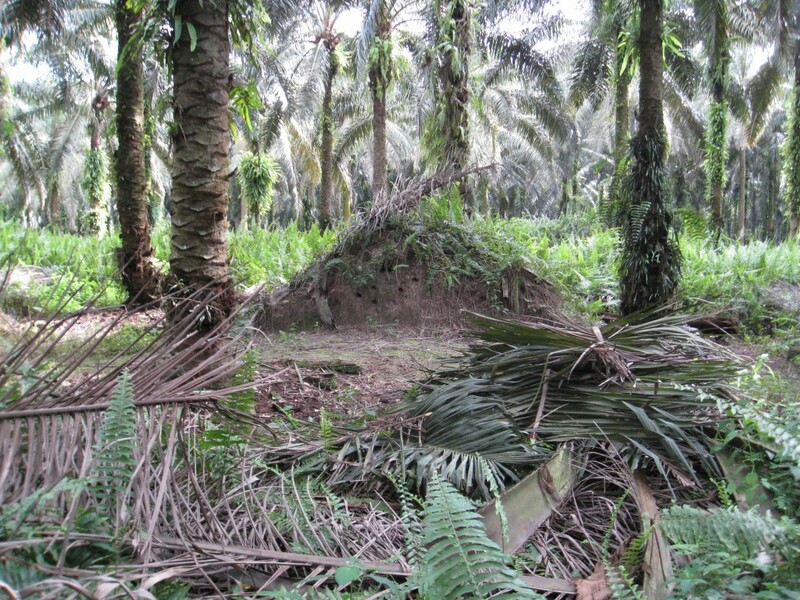 The construction of these nests must have a major impact on the plantation ecosystem, aerating the soil and generating a more heterogeneous environment for understory plants. Where they have steep sides, the termite nests are also used by White-throated Kingfisher (Halcyon smyrnensis), which burrow into the soft mounds to make their nest holes. A termite nest at BEFTA with the entrances of several kingfisher burrows visible.